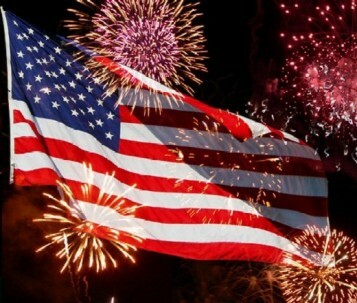 The City of Colonial Heights will sponsor a fireworks display on Friday, July 4, 2014 in the vicinity of Charles Dimmock Parkway in Colonial Heights. Fireworks will start at approximately 9:15 pm. Viewing for the fireworks will be off Interstate 95, Exit 53 or 54 in the Southgate Square/Wal-Mart Area. Bring blankets and/or lawn chairs. For more information, please contact the Colonial Heights Recreation & Parks Department at (804) 520-9390. ***Please note that Roslyn Landing Park will be closed from sunrise on the day of the fireworks display until the following day. No vehicles or people are allowed in the park during this time.